Here's our collection of fun and easy homemade salsa restaurant style recipes. All the homemade salsa restaurant style recipes have step-by-step instructions. We hope you love them as much as we do! Homemade salsa that can easily pass as the best restaurant style salsa? You just found the right recipe because here we make fresh tomato salsa to accompany you tortilla chips or to put on some beef tacos. 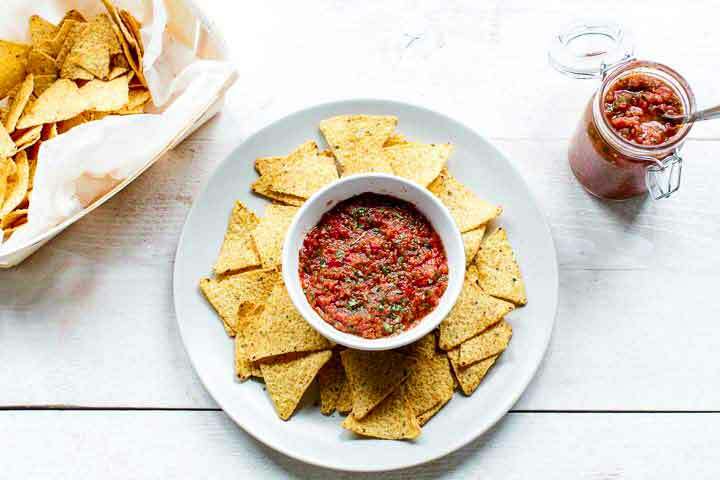 Ready to learn how you can make homemade salsa restaurant style? Lets get started!